Invasion of Perthshire Anticipated. The biggest motor rallying spectacle in Scotland for years – the biggest in the UK this year! Next weekend on Saturday the 27th of September, the biggest rally in Scotland will set off from Perth as a tribute to the late Colin McRae. It will also be the final round of this year’s national County Saab MSA Scottish Rally Championship. Joining the 125 Scottish Championship contenders are 15 of the world and UK’s top rally drivers from past and present, each paying their own tribute to a man regarded as a friend, colleague and rival by some, and as a hero by millions of others. The organisers of this event, Lanarkshire based Coltness Car Club will also be paying their own tribute to a man who was first and foremost a staunch club member and secondly an enthusiastic supporter of Scottish club rallying. To help with the organisation of this huge event, Coltness Car Club has received financial support from Pirelli Tyres and Ford Motor Company, without whose help it would have been very difficult to mount an event of this magnitude. It’s difficult to put numbers on the expected crowd size, but over the past two years, over 20,000 rally fans flocked to Perth for this event, and many more are expected this year. Coltness Car Club is also greatly indebted to the unstinting efforts of Tayside Police to facilitate this event and the enthusiastic support and goodwill of Perth & Kinross District Council, the Forestry Commission and the local folks who so tolerantly welcome the rally fans each year. 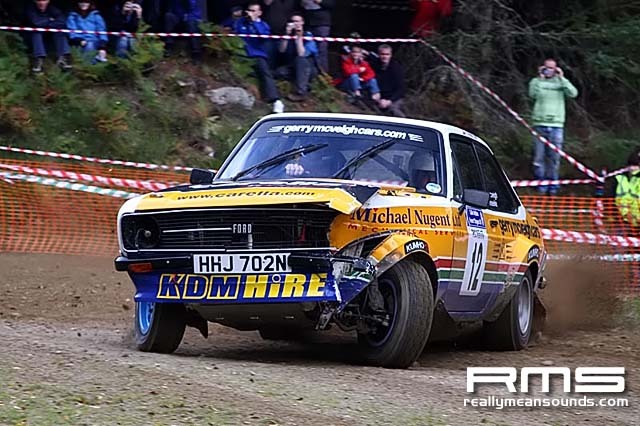 Heading the star-studded Entry List is Jim and Alister McRae, Colin’s father and brother, and the massed fans will undoubtedly rise to their appearance. Joining them are five former World Rally Champions. Bjorn Waldegard (1979), Ari Vatanen (1981), Hannu Mikkola (1983), Stig Blomqvist (1984) and own Louise Aitken-Walker who won the Ladies World title in 1990. From the USA comes John Buffum, Travis Pastrana and Ken Block and former British Champions Russell Brookes and Malcolm Wilson. Rounding off the ‘home nation’ presence is Welshman Phil Collins and Northern Ireland’s Kris Meeke. 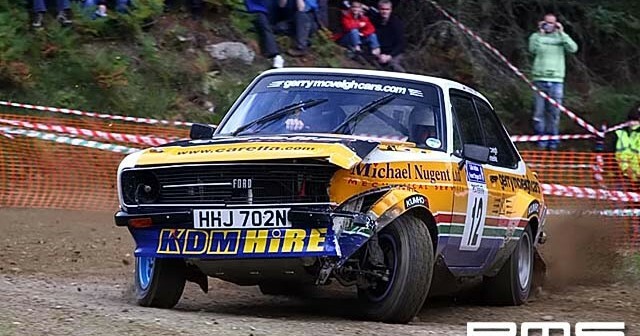 Completing the ‘famous fifteen’ line-up is Andrew Cowan, the winner of the world’s first marathon rally when he won the London to Sydney Marathon in a Scottish built car (Hillman Hunter) in 1968 although he will be driving aHillman Imp on this event.